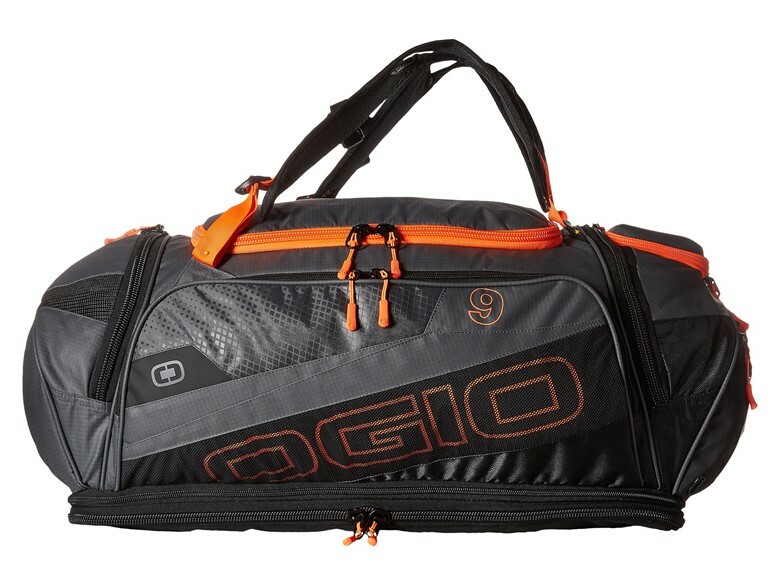 Ogio Endurance 9.0 for Weekend Warriors - Ski. Play. Live. I’m pretty much a wheeled-bag kind of gal. After all, why work harder than you need to? Carrying a bag over my shoulder is a hassle. But when I’m roadtripping, need the space, won’t be walking far with luggage and have a bunch of gear that eventually gets smelly, I bust out the Ogio Endurance 9.0 Duffel. Sounds like a runner’s catchall but it’s so much more. Not to mention that I hate running. The 9.0 is perfect for the rest of us outdoor athletes- skiers, SCUBA divers, boaters, hikers, kayakers. Yes, the mechanics of the thing mesmerizes triathletes; built-in organization everywhere, durable abrasion-resistant tarpaulin base, dual water bottle compartments, dirty shoes side pocket, hideaway stretch mesh helmet storage and a crush-resistant lockable armored pocket Ogio calls the Tech Vault for glasses, goggles and electronics. But on top of all that there are side straps with an adjustable sternum strap that turn what looks like a duffel into an easy carry backpack. The 9.0’s 3,600 cubic inches stows enough gear for a long weekend. Both sides of the bag have zips and stash pockets galore. My favorite part of the bag is the bottom zip area which is ventilated for wet/dry storage. After kayaking I can stash my drysuit in there and not have to worry about it sogging up everything else. Same thing goes for the ski gloves, neck gaitor, baselayers. Even leaving things in for a few days won’t stink up the bag. I’m off to Jackson Hole, Wyo., tonight for a final spring ski weekend up there. Can you guess what bag I’m taking?